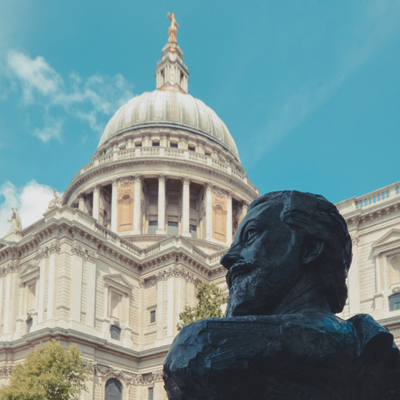 A new bust of priest and poet John Donne was unveiled outside St Paul’s Cathedral earlier this year. Donne was made Dean of St Paul’s in 1621, a position he held until his death 10 years later. 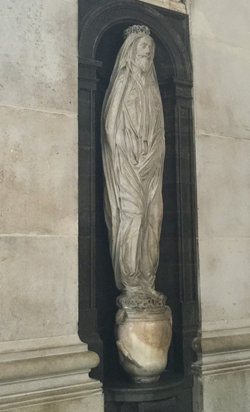 He was subsequently buried in Old St Paul’s Cathedral and a memorial to him – a likeness apparently based on a drawing of him in his shroud – was the only monument to survive the Great Fire of London in 1666. It’s still inside the cathedral. The new bronze bust, located in the garden to the south of the cathedral, was the work of artist Nigel Boonham and has Donne looking east towards his birth place in nearby Bread Street. 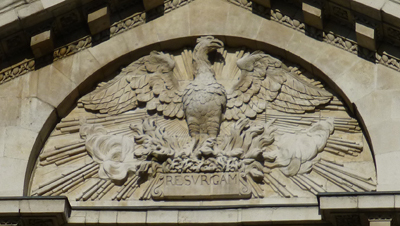 The text “Hence is’t, that I am carried towards the West/This day, when my Soul’s form bends to the East” – taken from the poem Good-Friday, 1613, Riding Westward – is inscribed underneath the bust. Commissioned by the City of London, the sculpture was unveiled in June by the artist and Professor Peter McCullough, one of the cathedral’s Lay Canons. For more on St Paul’s, see www.stpauls.co.uk. PICTURE: Graham Lacdao / The Chapter of St Paul’s Cathedral. Contrary to what some may, St Katharine Cree is not named after a person of that name (or at least not entirely). St Katherine, certainly, but the addition of ‘Cree’ is simply a medieval corruption of ‘Christ Church’. The name Christ Church, abbreviated to Cree, was applied to this church because it was the prior of the Augustinian Priory of the Holy Trinity in Aldgate, also known as Christ Church, who founded St Katharine Cree in 1280 for the use of the area’s parishioners (apparently their use of the priory church was causing problems). The current building dates from 1630 (although the tower dates from 1504), making it the only surviving Jacobean church in London. 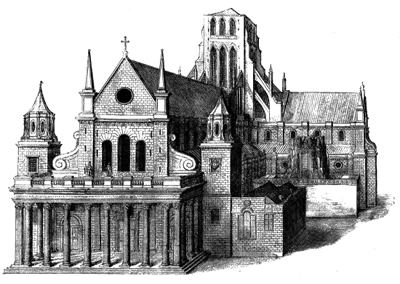 It was consecrated by William Laud, then Bishop of London (and later beheaded for, among other things, his support of King Charles I). He is commemorated in one of the church’s chapels. 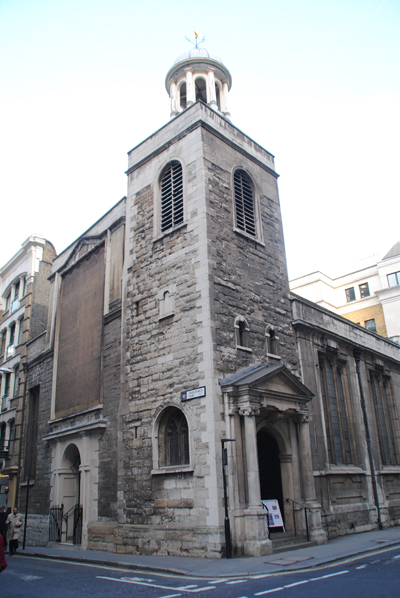 Unlike so many other of London’s churches, St Katharine Cree was not destroyed in the Great Fire of London and only suffered minor damage in the Blitz. But structural problems meant it did need substantial restoration in the 1960s. Inside, is a mid 17th century font and stained glass dating from the same era which depicts a Catherine wheel (St Katherine/Catherine is said to have died strapped to a spiked wheel when martyred during the time of the Roman Empire.). There is also a rose window which was modelled on that of old St Paul’s Cathedral (before it was destroyed by the Great Fire). Parts of the organ, which was restored in the early Noughties, date from the 17th century and the original was played by none other than George Frideric Handel and Henry Purcell. The six bells were restored in 2009 following an appeal. Among those buried at St Katharine Cree are Sir Nicholas Throckmorton, a 16th century diplomat (his monument is inside), and the artist Hans Holbein the Younger (his grave is also claimed by St Andrew Undershaft). 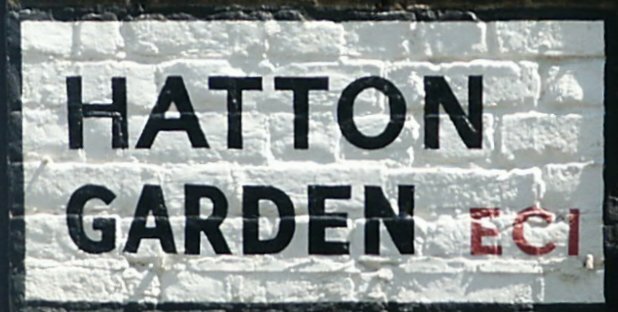 The church today has no parish but is the Guild Church to Finance, Commerce and Industry (its rector is that of St Olave Hart Street). Among its annual events is the Lion Sermon given in October, a tradition that dates back to 1643 and owes its origins to the former Lord Mayor of London, Sir John Gayer, who decided to finance the sermon after he survived an encounter with a lion in Syria. WHERE: Leadenhall Street, London (nearest Tube stations are Aldgate and Tower Hill); WHEN: See website for service times; COST: Free; WEBSITE: www.sanctuaryinthecity.net/St-Katharine-Cree.html.